Throughout the course of a clinical trial, sponsors need to collect strong, repeatable data in order to demonstrate the efficacy and safety of a drug. In trials that rely on patients to take drugs according to a set schedule at home, poor adherence on the part of participants can greatly impact the results. In fact, research from the New England Journal of Medicine shows that only 34 percent of trial participants take medications as prescribed. While the purpose of a trial is to determine if a drug works as planned and is efficacious, sponsors have not historically had an objective means to tell if a drug is in fact not working or if variable results are due to non-adherence. The good and exciting news is digital health technologies are changing this. Over the last few years, we have seen new, innovative devices and technologies entering the market, including smart pill bottles, connected inhalers and ingestible sensors from device manufacturers that include Proteus Digital Health, AdhereTech and Cohero. Some pharma companies are even creating their own sensors to embed in medications to track adherence. Ensure medication is taken, and on schedule. With adherence to dosing and intervals being key in demonstrating efficacy, sponsors can now have more visibility into a drug's true outcome. These new digital health tools are enabling sponsors to collect real-time adherence data in order to track not just that a participant took a medication, but also the time at which it was taken and the dose taken. This data can even be used to uncover patterns in medication-taking behaviors and to remove non-adherent participants from a trial. Send reminders to trial participants. 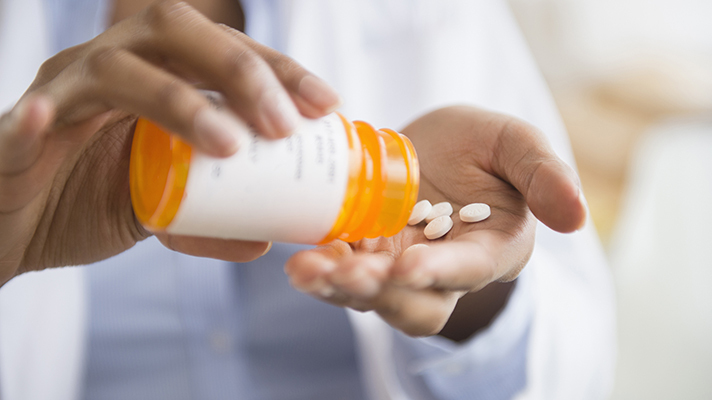 By knowing which participants did not take their medication or adhere to the dosing interval, sponsors can choose to intervene and encourage positive medication-taking behaviors. For example, if a participant misses a dose, the sponsor is alerted and triggers a reminder to be sent via phone, text or email to the participant, reducing negative behaviors that can compromise a trial. There are also smart pill bottles that beep or light up when a dose is missed to remind the patient to take the medication. Real-time visibility into adherence also allows sponsors to design data-driven, adaptive trials. Armed with this data, sponsors can feel confident making adjustments to protocols based on actual indicators, while eliminating outliers that are due to poor adherence. As the capabilities of medication adherence technologies continue to expand and the pharmaceutical industry increasingly recognizes the benefits of their use, the number of clinical trials utilizing these technologies is expected to grow significantly in the years ahead. Jennifer is the Director of Marketing at Validic, the industry’s leading digital health platform. Validic connects actionable data from clinical devices, fitness wearables, biometric sensors and wellness applications to hospitals, payers, pharma, wellness companies and health IT vendors. Jennifer has over ten years of experience building and executing strategic go-to-market and demand generation plans for B2B companies.